What would you do if you could save 40% on healthcare costs? Would you take more vacations? Would you spend a little more on camping gear, spa days or theme parks with the grandkids? Would you spend more money on a hobby? Or maybe you’d just like the security of putting that money in the bank. Well, there is something that could potentially be raising your healthcare costs, taking money that you could put to better use. In fact, it’s causing older adults to shell out 46% more on healthcare expenses than their neighbors. That one thing is ignoring untreated hearing loss. Here’s why this one thing takes such a costly toll on your health. A study reported in JAMA Otolaryngology-Head and Neck Surgery showed that within just 2 years of being diagnosed with hearing loss a person who doesn’t get treated for hearing loss will spend 26% more on healthcare than someone who chose to get hearing aids. Within the first 10 years after diagnosis, they’ve spent over $22,000 and 46% more than their peers. These additional costs take many forms that can clearly be demonstrated through studies completed by trusted research institutions like Johns Hopkins. 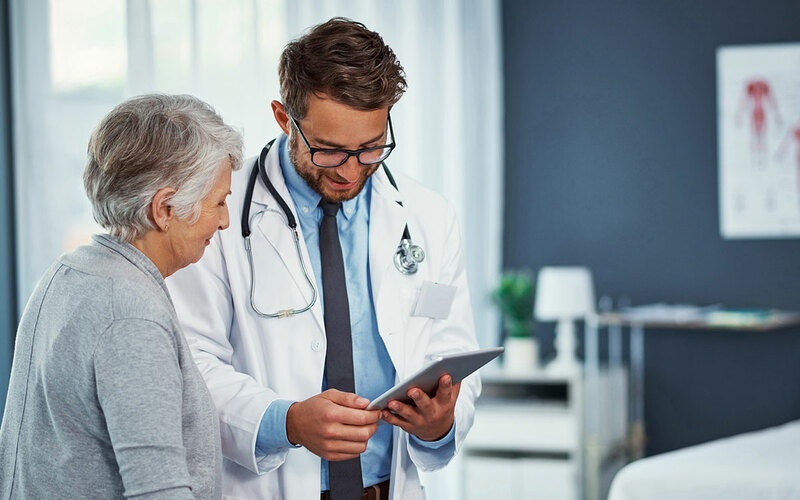 A study conducted by Johns Hopkins Bloomberg School of Public Health reviewed over 70 thousand patient records, with patient consent, of course. They found that within 10 years of diagnosis, those who chose not to get hearing aids had been admitted into the hospital 50% more times than those who got hearing loss treatment. They had a 44% higher risk of readmission within 30 days, and they were 17% more likely to end up in the ER. Even if Medicare pays around 80%, that’s a huge out-of-pocket expense. Those numbers are staggering. But you may be asking, why do people with untreated hearing challenges end up in the hospital in the first place? To find out, we’ll need to look a bit deeper at what happens when you lose your hearing in the middle to senior age range. A person who was born deaf or lost their hearing in their early 20’s due to a military accident, for example, isn’t the same as a person with age-related hearing loss who has had their hearing for 50, 60 or even 70 years. If you’ve had your hearing for a long time, your brain has built its structure around your ability to hear. Take hearing away at middle age or older and the brain doesn’t know what to do. Trying to do simple tasks may have you banging your fist on the counter. Language comprehension, which is linked to your hearing, becomes a constant battle to understand and find words that once came so easily. This puts a lot of additional stress on the body. And unbridled stress caused by trying to hear and understand takes its toll on every aspect of life. Could any of these effects land you in the hospital? They certainly can. In fact, studies have very clearly linked untreated hearing loss to increased risk of several medical and psychological conditions. This amounts to a 40% increased risk of depression and 30% increased risk of falls. And these are only 3 factors that could increase medical costs. The true test of the validity of studies like these is found in the answer to a simple question. Can you do these studies in reverse? Can researchers show that the hearing aids are actually able to reduce risk? The answer is yes. After just 2 weeks of consistently wearing hearing aids, brain function improves. Are you living with untreated hearing loss? Or perhaps you’re not wearing your hearing aids as much as you could? Increased healthcare expense is just one more reason it’s time to restore your hearing. Talk to a hearing specialist today.